Read Between the Ps: Artificial Intelligence in Retail - A Swayamvar for Brands? Artificial Intelligence in Retail - A Swayamvar for Brands? According to a new report by Accenture Strategy, Retailers and consumer goods companies could unlock $2.95 trillion in value for the industry and consumers over the next decade by accelerating digital transformation, Investments in new, digitally-driven business models will give consumers greater choice around how they purchase goods and services and enable companies to deliver profitable, differentiated experiences. Part of this Digital transformation entails brands hovering around the key influencers that are rapidly emerging out of new technologies. Very soon you would notice the brands flirting around with these tech hulks flaunting their strength, seeking their attention! A new innovative Go-to-market approach is imperative for any brand now! The one that involves mollycoddling AI experts like Amazon Echo - a swayamvar of sorts for brands! If you Echo what I just mentioned (pun intended), maybe you would have heard about this new poster boy called Amazon Echo, and his sweet sounding assistant called Alexa next to him. 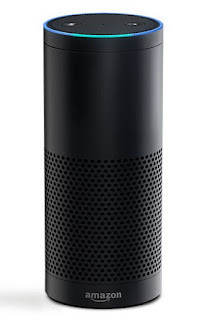 Amazon Echo is a smart speaker developed by Amazon.com. The device consists of a 9.25 inch (23.5 cm) tall cylinder speaker with a seven-piece microphone array. 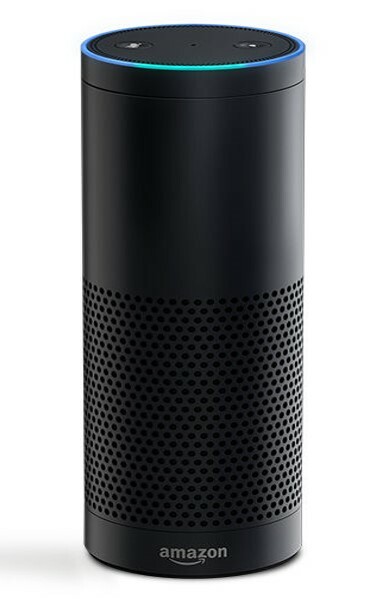 The device connects to the voice-controlled intelligent personal assistant service Alexa, which responds to the name "Alexa". The device is capable of voice interaction, music playback, making to-do lists, setting alarms, streaming podcasts, playing audiobooks, and providing weather, traffic and other real time information. It can also control several smart devices using itself as a home automation hub. Artificial intelligence has enabled every household to become a store shelf. Analysts expect sales to reach $20 billion by 2020 via the artificial intelligence talking assistant Alexa. The Echo speaker now operates in more than 11 million homes. Although this still represents less than 10% of U.S. households, at such a fast penetration rate—Echo was first widely released in June 2015—in less than a decade half of all households could have AI devices. Brand Agnostic - Artificial intelligence and the generation of smartphone shopping assistants, from Siri to chatbots, are upending the traditional path to purchase, but they are all brand agnostic. Those ephemeral intangibles long considered the essence of a brand doesn't matter. Price and delivery time are more likely to drive preference and selection in this new AI-driven store. Roy White, Editor, RetailWire, articulates nicely - The whole concept of a “store” as currently envisaged, and how CPG brands interact with it, is under assault from several different directions and Alexa is just one of several disrupters. The growth of online selling; the emergence of a huge, powerful and effective online retailer; increasing consumer disinterest in shopping large stores; the development of new consumer behaviors and demands; and the fact that stores have not changed all that much over the past couple of decades are just some of the massive influences on brick-and-mortar retailing along with the likes of Alexa. CPG brand strategies are going to have to encompass new types of retail outlets, many hybrid, and determine how to effectively get a brand message to a new type of consumer. Sterling Hawkins, Co-founder, CART (Center for Advancing Retail & Technology) mentioned an interesting term - Conversational Commerce is shaking up traditional retail and it creates countless opportunities for brands. Many are open ecosystems (at the moment) and creating brand experiences bring participating CPGs closer to the consumer in a way never before seen. It does need to be treated as a new and distinct channel, not simply an extension of a brand’s existing mobile or digital strategy. If you’re the brand manager of a CPG product, this is an interesting area to explore - the "existential threat" that can potentially shake your fundamentals of brand building - the in-store marketing model that has ruled the consumer products industry for more than a century is being replaced by a talking cylinder. This is where mental availability would play a critical role. When cues get triggered, how do you get your brand recalled! 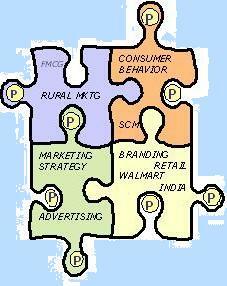 The Category Entry Points (CEP) would play a far more pivotal role in driving brand recall. Mental Share would drive a larger weightage going forward. If customers don't remember you, they will ask for the product. What will let them ask for the brand? Brand Attributes would need to be sharper - You cannot stand for anything and everything. You surely need to stand for more of something! Also, some experts believe Direct-to-consumer playing a critical role, with the advent of partnerships that Amazon would get into. Amazon is rapidly moving to surround the consumer with interface points getting a larger share of their mindspace as well as their wallets! Over the past few years, one of the biggest developments in the digital ecosystem has been how e-commerce has evolved. E-commerce, specifically Amazon, is becoming a dominant force in brand discovery, and not just a touchpoint for product purchase. According to experts, “How your product is perceived on Amazon and in the Amazon community in ratings and reviews has such a powerful impact on the future of you as a brand. Increasingly, if you win on Amazon, you win, period." As more people live large portions of their lives in Amazon’s ecosystem, ad agencies are increasingly offering specialized services to help brands take full advantage of the company’s universe. That means adding flourishes like recipes and magazine-style images to product pages, coming up with creative ways to get customers to post reviews on Amazon and plotting how companies can best connect with people who are using devices like the voice-activated Echo. Get ready for getting Bezosifed! Seems like there are more moments of truth getting defined with more and more interface points, more conversational commerce and evolving consumer behavioural patterns! Just as Alexa and other voice UX platforms are becoming the digital equivalents of the last physical mile in logistics, CPG brands need to approach the new platforms as another influence opportunity in their broad engagement with consumers. Eventually, any CPG brand would need to embrace these new demand-based moments of truth. While adopting them is not a sure shot path to growth, not adopting them is definitely a path to slow and eventual death! Alexa doesn't seem to threaten the retailers, maybe not even the CPG brands - it just makes brands get up and work little smarter. Embrace the evolution - participate and not just observe! Any brand that does not believe in driving technology seems to be setting itself for redundancy. May as well check out museums around you for distribution! In India, Amazon is preparing to introduce its Alexa Voice Service (AVS) along with its Echo speakers towards the end of 2017. The speakers will initially be launched with an English interface and be updated later to respond to commands in regional Indian languages including Marathi, Tamil and Hindi, these people said, declining to be identified. Would be exciting to understand who encashes on this opportunity before others! You can check out the services compatible with echo here. Driving a brand digitally is an exciting proposition, wherein the algorithms defy any Marketing 101 that one has studied in any books. The only way to partner with Artifical Intelligence for us as marketers is to leverage our own Natural Intelligence sometime!